I made a bunch of cards with the Wildflowers Vol 2 set from Darkroom Door the other day. I had my distress oxide inks out and some brusho and alcohol ink backgrounds on hand to add flowers to. 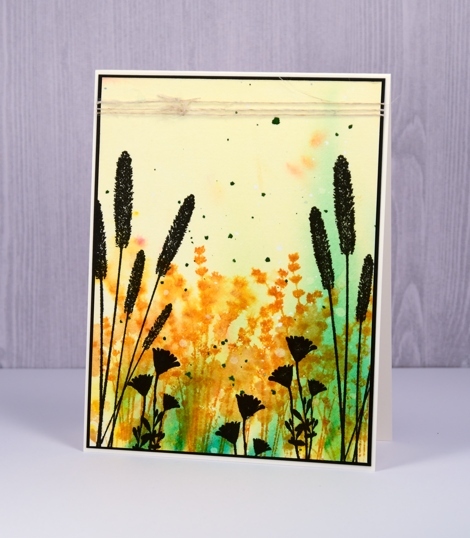 For this card I began with a soft brusho background of yellow and green then added distress ink flowers over the top. I spritzed after stamping to blur the images into each other. 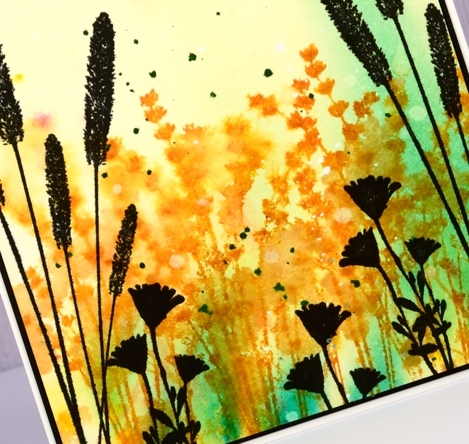 Once the coloured stamping dried I added black silhouettes to the foreground and sides to frame the panel, some dark green splatter and a black mat to finish it off. 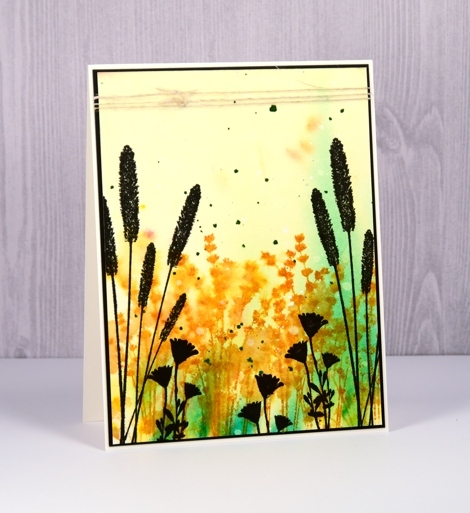 Because the colours reminded me of a country scene I wrapped some rustic hemp twine around the panel before attaching it to a natural coloured card base. What a beautiful card. It can be used for any occasion. Beautiful, I love the soft background with the bold flowers in the foreground!